PUNE: The Highway Safety Petrol (HSP) and Pune-Mumbai expressway officials made elaborate arrangements on Sunday to deal with the New Year's Eve rush. But as it turned out, very few vehicles plied on the roads on Sunday evening. The officials had put measures in place on the Pune-Mumbai expressway, the old Pune-Mumbai highway and the Pune- Satara highway. "The HSP and Pune officials have made an elaborate plan to avert traffic jams on these highways and the expressway on Sunday," claimed superintendent of HSP Amol Tambe. For the weekend, many from Mumbai, Pune and other cities had made a beeline to Lonavla, Khandala and Mahabaleshwar. The HSP expected these people to head back home on Sunday evening. However, until late on Sunday night, the highways in question witnessed only normal traffic. HSP officials told pune-news.com that there were very few vehicles, especially cars and SUVs, on these roads.The HSP had decided to halt vehicular movement on different spots on the expressway as well as on the Pune-Satara Road to facilitate hassle-free journey for Mumbai-bound motorists. 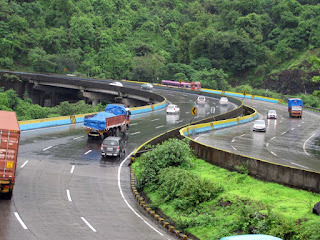 HSP expected many vehicles to start driving towards Mumbai or Pune from Mahabaleshwar, Wai and Lonavla-Khandala areas late in the evening, which could cause congestion.